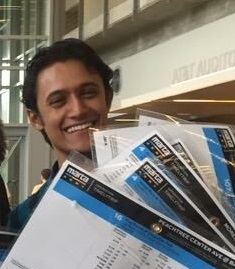 Harshath earned a Master's degree in Computer Science with a focus on Human Computer Interaction in 2015. While attending Georgia Tech, he worked on the user experience aspects of OneBusAway, trying to figure how to present real-time information about public transportation to improve the experience of transit. Harshath currently works as a User Experience Designer at Worldpay. Apart from design, Harshath enjoys travel, music, exercise, and programming.